Brooks Locomotive Works was founded by Horatio G Brooks, the former Chief Engineer of the New York & Erie Railroad in 1869 shortly after the NY&E vacated its shops in Dunkirk NY. 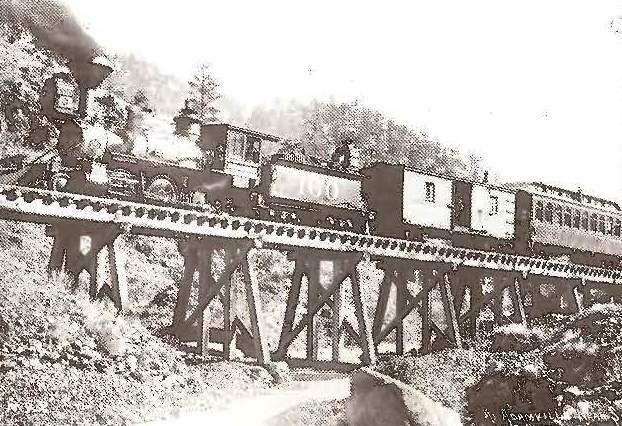 In 1872, Brooks entered the new narrow gauge market and became the No. 2 producer of locomotives following only Baldwin in production for common carrier railroads. Brooks was able to avoid bankruptcy during the financial panic of 1873 and recovered rapidly. By July 1898 Brooks completed its 3,000th new locomotive. 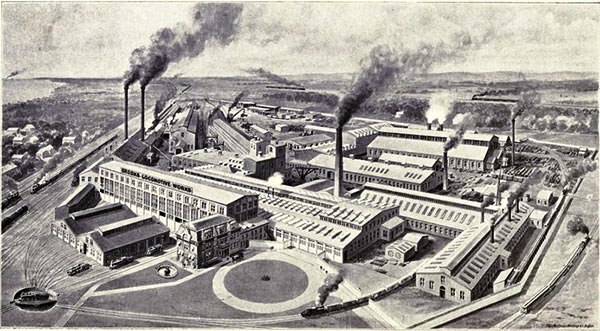 Brooks was unable to recover to production levels preceding the financial panic of the 1890's and in 1901, Brooks Locomotive Works merged with Schenectady Locomotive Works and several other locomotive manufacturers, including Rogers, Cooke and 5 others, to form the American Locomotive Company (Alco). Click HERE for the modern history of Alco. 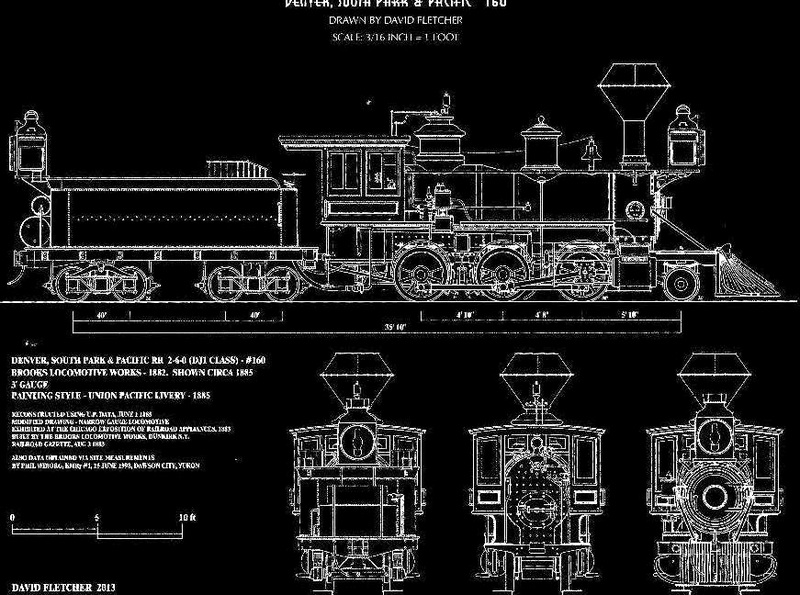 This page covers the 10 DSP&P 2-6-0 Moguls purchased from Brooks in 1882. 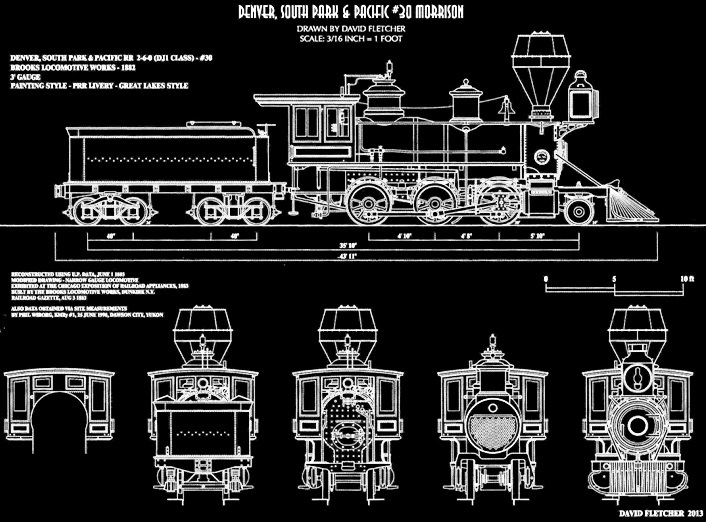 DSP&P purchased ten Brooks 2-6-0 Mogul locomotives in 1882. These became DSP&P #29 through 38. Numbers 29, 32, 36, and 37 were un-named, the rest were given names that represented stations on the line. 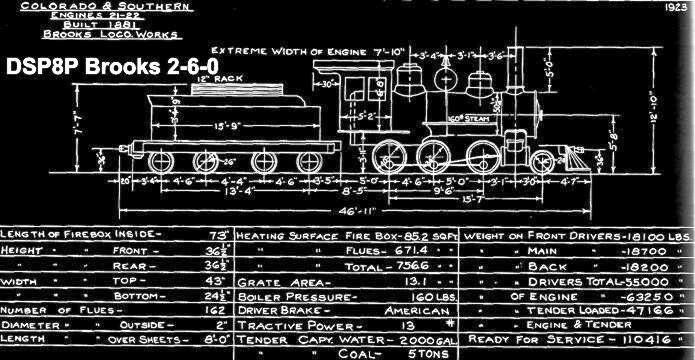 They were very attractive locomotives with 15"x18" cylinders and 38" drivers. They became DSP&P #156 through 165 in the 1885 UP renumbering scheme. 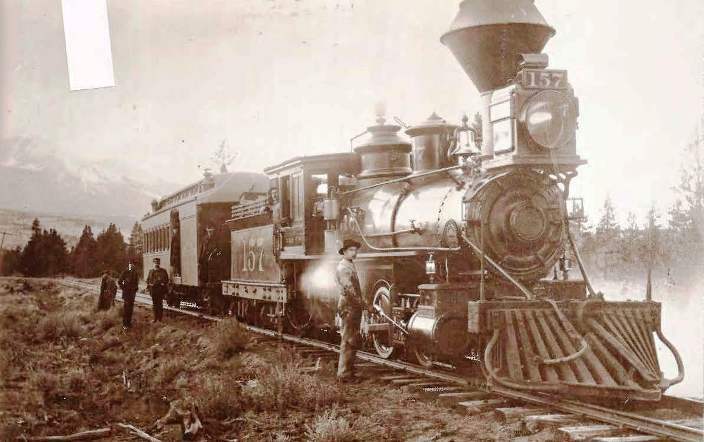 Original #29 and 32 went to the Utah and Northern in 1887 and seven of them survived into the C&S era, with several rebuilds along the way. 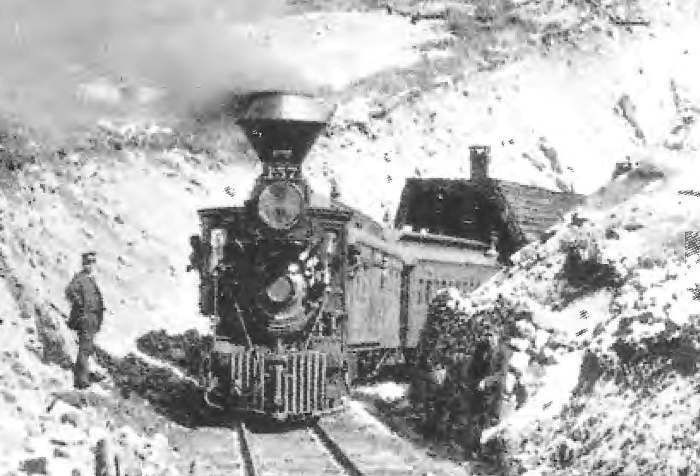 These locomotives and the Cooke 2-6-0 Moguls quietly replaced all but one of the Mason Bogies by 1894. 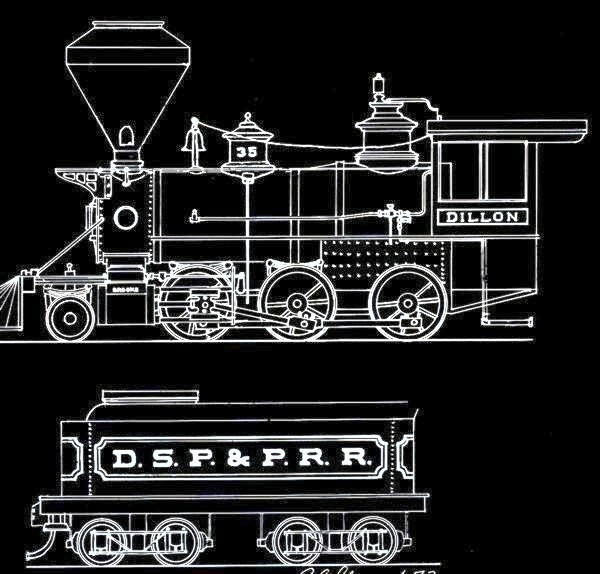 Wouldn't it be nice to see an Accucraft model of "Dillon" sitting here? DSP&P 2-6-0 Brooks Mogul #30 "Morrison"
DSP&P 2-6-0 Brooks Mogul #33 (#160 after 1884) "Webster"
DSP&P 2-6-0 Brooks Mogul #35 "Dillon"